This is a natural wood Christmas ornament. It adds a simple rustic touch to any Christmas tree. It would be a perfect wedding, Christmas, or anniversary gift. 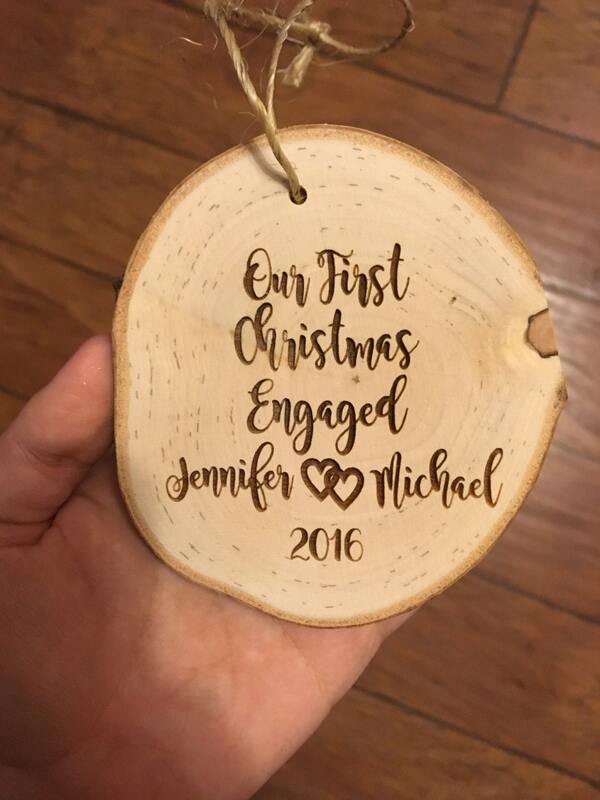 *WHAT YOU GET* One sanded natural wood laser engraved Christmas ornament with twine loop hanger. * MEASUREMENTS * Approximately 3-4 inches wide and long. *WHAT YOU DO* Please add couples NAMES and DATE in the comment box at check out.